Lavendilly is my work at home: where I live and play with my family and friends. At Lavendilly we celebrate all the goodness that makes our life interesting, colourful, spicy and beautiful. Food, play, creative projects, poetry and stories! The other side of my work is my work in community, and that is SACRED ESSENCE. Sacred Essence has been going for about three years now. Melissa Joss and I have been working with women in our community, providing a place for women to be in the moment – a challenge in particular for mothers! We benefit from these circles as much as anyone else does, and it has become our heart’s work. Our passion for Sacred Essence has never waned, but our time and energy did when Melissa and I both had babies in late 2010, so for a while our energies were often diverted into parenting and loving our little families. Our little girls are now both two years of age, and we are both feeling a resurgence of enthusiasm, passion and ambition for our work. We’ve been working hard over Summer (and when you’ve got all kids home on school holidays any kind of work is hard!) and we’ve made ourselves a new website, written a new mission statement and have all our projects for the year planned out. It feels great! 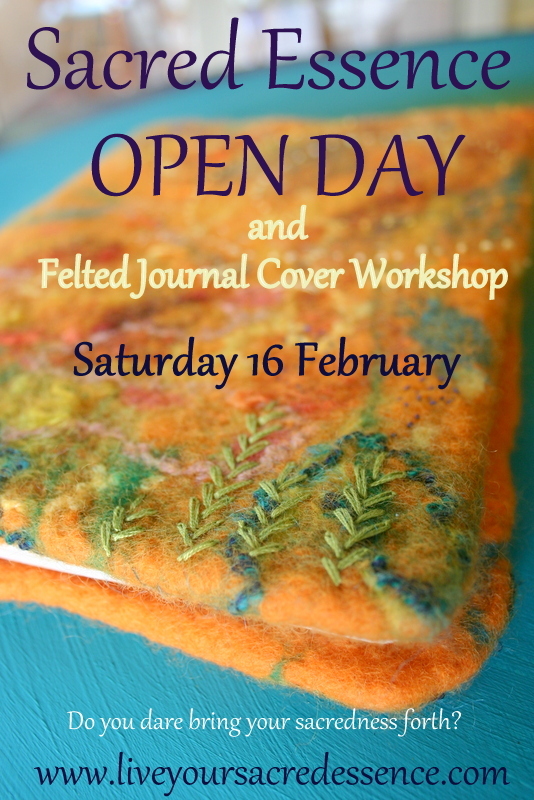 We are kicking the year off with our Open Day Circle and our Hand-Felted Journal Cover Workshop. Look what I made! I love this journal cover! It fits an A4 book just perfectly, and I spent a few happy hours sitting in the sunshine embroidering it. It is going to be a free gift in our competition, which will be announced very soon. Also you can win a free booking to the Workshop so you can make your own. 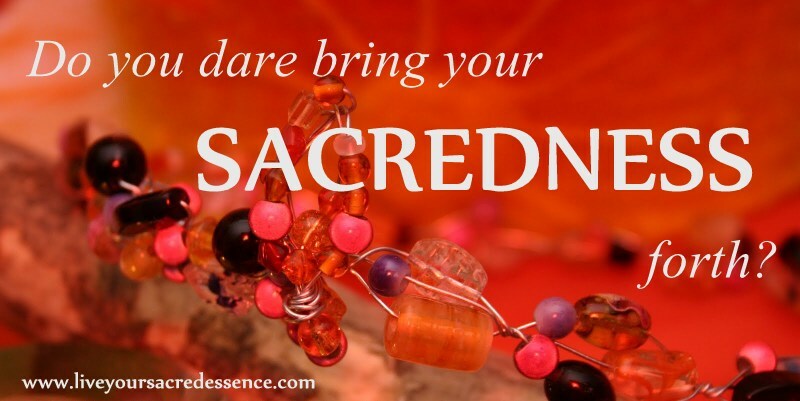 Go and have a look at our Sacred Essence website! There’s lots in there … and keep watching here, or on our Sacred Essence facebook page for more information about how you can win the journal cover or the booking to make your own felted book cover. We’ll also be offering the instructions on-line so you can make one even if you don’t live on the Gold Coast.